Adapting to your Demands. 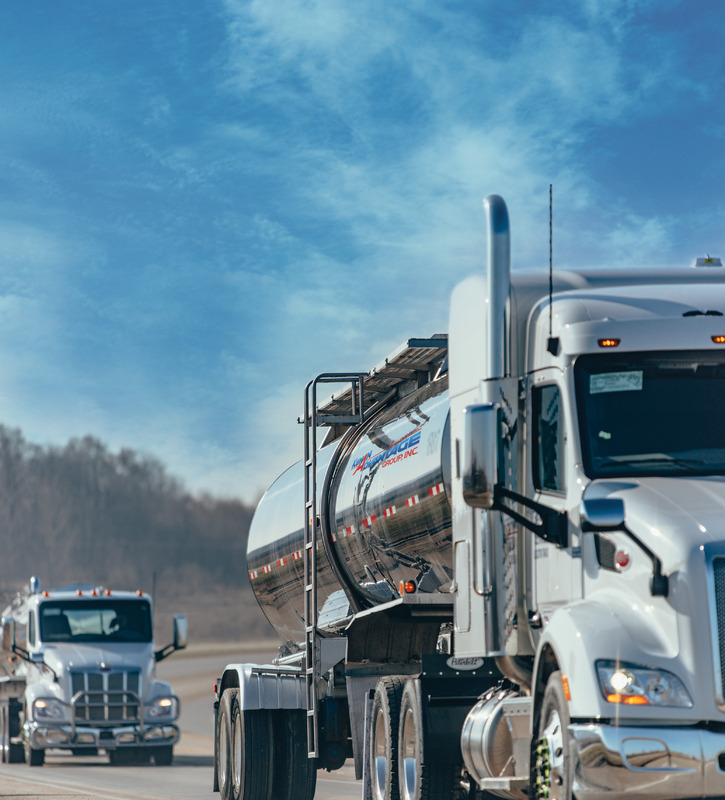 From transporting complex chemical mixtures to vendor management and complete supply chain solutions, KAG Specialty Products has unparalleled expertise to meet all your delivery needs. We improve your operational execution, offer customized solutions to meet seasonal capacity increases, and reduce costs within our contract pricing structure. These specialty product advantages enable you to focus on your core business and market opportunities while KAG takes on your toughest challenges. Forged from acclaimed subsidiaries Dedicated Transport, DistTech, and Transport Service, KAG Specialty Products is the culmination of industry experts, best-in-class safety and KAG’s commitment to cutting-edge technology. KAG Specialty Products designs and implements transportation management programs focused on maximizing resources. And by utilizing specialized equipment, state of the art fleet modeling, routing, scheduling and optimization technology, we can meet even the most challenging of today’s fleet and capacity needs for our clients. KAG – Your Certified Responsible Care® Partner. As a Responsible Care Partner®, we commit to delivering chemical products safely and according to the Highest Industry Standards. KAG Drivers are not just Drivers, they are highly skilled and well-trained technicians who become your partner for the long haul. Kenan Advantage Group is a SmartWay Excellence Award winner. We lead our industry in improving freight efficiency and contributing to cleaner air within our supply chains. We lead the industry by providing our KAG customers the most comprehensive package of transportation and logistics solutions available.